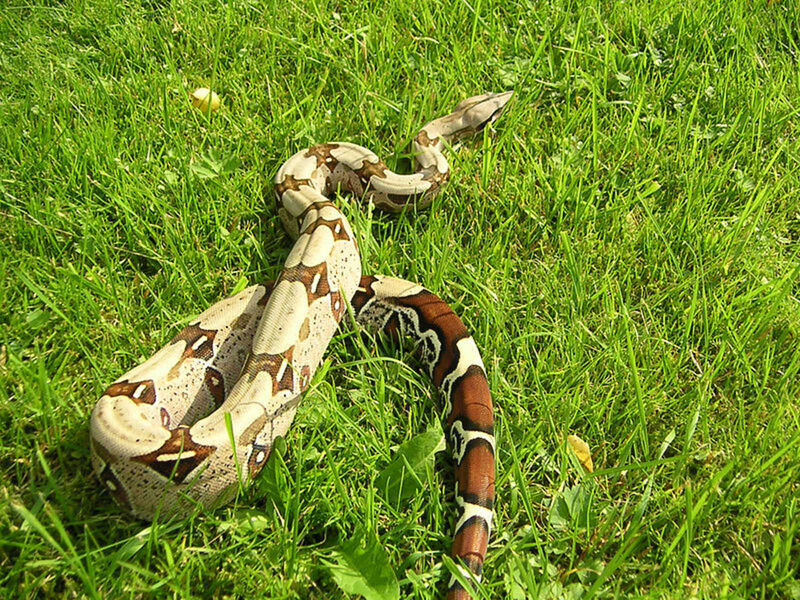 Snakes are very specialised reptiles, the same class of animals as lizards and turtles, which have lost their limbs. There are almost 3000 different species of snake around the world, on all continents except for Antarctica. Scientific taxonomy classifies snakes in different families, but for a layman the latin names and anatomical criteria are somewhat baffling. It is more interesting to explore the world of serpents by thinking about the different kinds of snakes depending on their strategies for catching prey, their habitat or their modes of reproduction. The obvious classification of snakes that most people think of immediately is into venomous and non-venomous types. As a matter of fact, most snakes are not venomous, but some species, from the families Elapidae, Colubridae and Viparedae, have developed specialised salivary glands and fangs that allow them to produce potent toxins and inject them into prey. Venomous snakes can further be subdivided into the type of fangs that they have. Some, like the black mamba, have simple hollow fangs that are fixed in position. Others, like vipers or rattlesnakes, have hinged fangs that can rotate. Normally they are held against the roof of the mouth. To bite, the viper opens its mouth very wide, and extends the fangs, which inject venom when they stab into the victim. Spitting cobras have come up with a particularly interesting form of self-defence, they spray venom from their fangs, without needing to bite. The venom is sprayed in a geometric pattern, hoping to hit the threatening animal in the eyes, where it can result in permanent blindness. 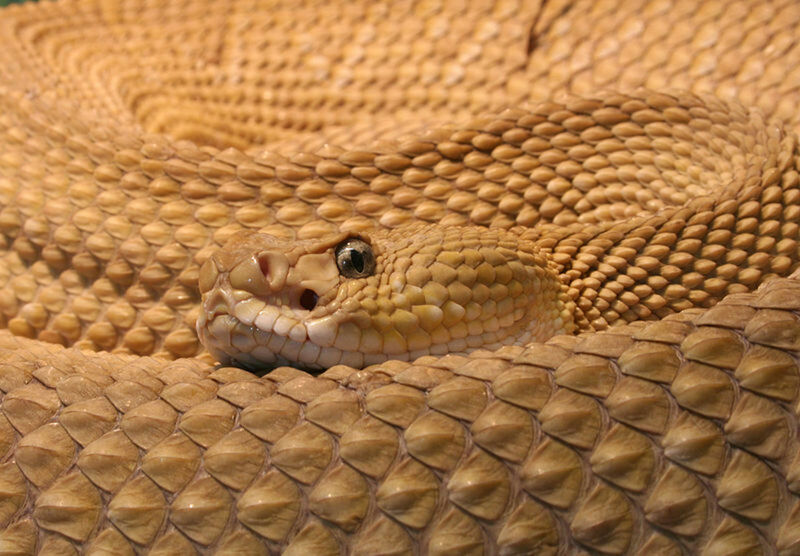 Venomous Snakes could also be classified by the type of venom they use. Snake venom consists mostly of proteins, and snakes can produce a mixture of up to a hundred proteins. In general, venoms are classified into two types, neurotoxins, which affect the nervous system paralysing prey, in used mostly by snakes in the family Elapidae such as cobras, and haemotoxins, found mostly in vipers, which destroy red blood cell membranes. 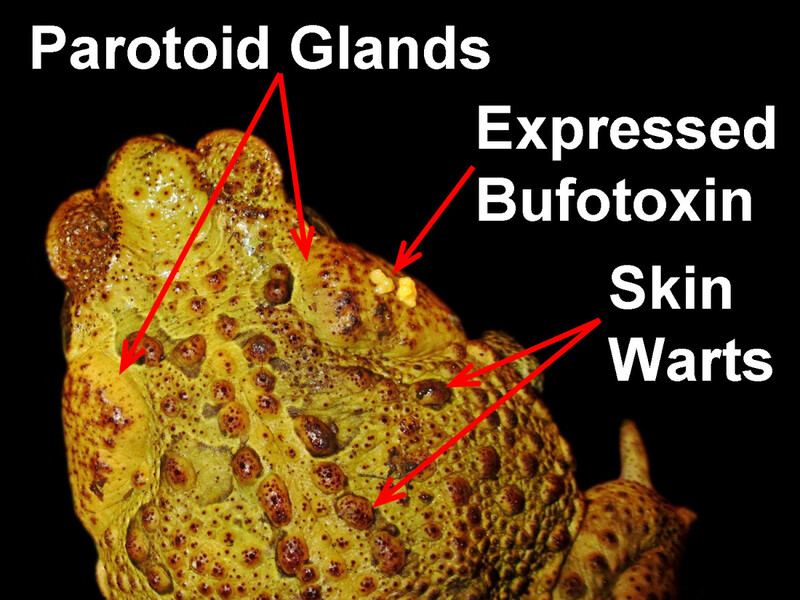 Generally neurotoxins act much faster than haemotoxins and are used by slower snakes which need their prey to die very quickly so they don't have to chase it. Snake venom can also contain a variety of enzymes, such as proteases which degrade proteins, metalloproteinases, cytotoxins and cardiotoxins. The potency of the venom is measured by LD50 values, the amount of toxin that will result in the death of 50% of the test subjects, usually mice. The strength of the venom by itself is not the only indicator of the danger of the snake. The Australian inland taipan (Oxyuranus microlepidotus) is generally regarded as the most most venomous land snake, but being shy and reclusive, it is far less dangerous than the black mamba, which is very aggressive and fast, and will strike repeatedly. 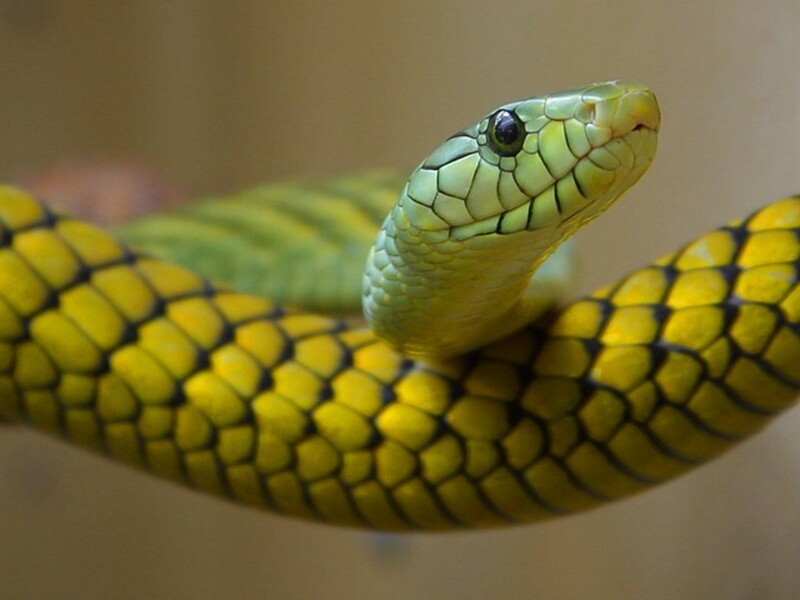 Overall even snakes with fearsome reputations such as the cobras, mambas, or rattlesnakes, would rather not bite humans if they can possibly avoid it. Humans are too big to eat, so are really a waste of venom, and there is the possibility of damaging its fang when biting. This is why snakes have a variety of warning off humans who've stumbled on them, such as the noise made by the rattlesnake or inflating of the cobra's hood. Catching Black Mamba Anit-Venom "Donors"
As already mentioned, the vast majority of snake species are not venomous. Of course this does not make them harmless. Many of the largest snakes do not bite and poison their prey, instead they use their enormous length and strength to suffocate the animal. 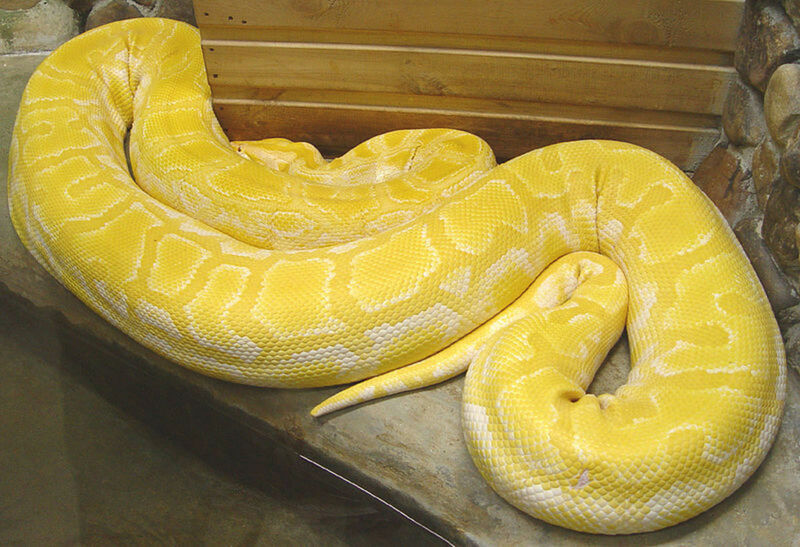 In the case of snakes such the reticulated python, they "prey" can include animals as big as deer and pigs. 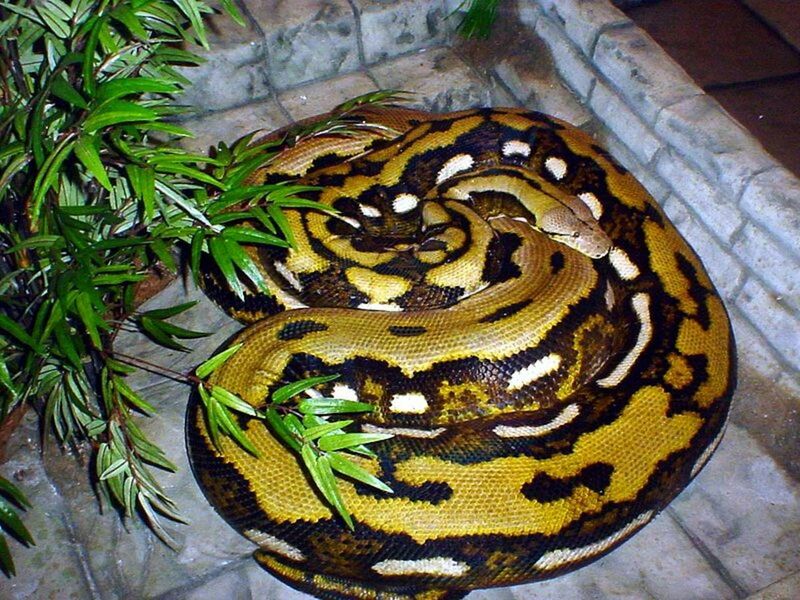 The longest reticulated python recorded measured 22.8 ft in length. Just because snakes are not venomous does not mean they will not bite. The boa constrictor is famous for striking repeatedly at people if it is sufficiently annoyed. Although the bites are painful, they do not inflict permanent damage. The big, constrictor types of snakes are not the only ones lacking venom. 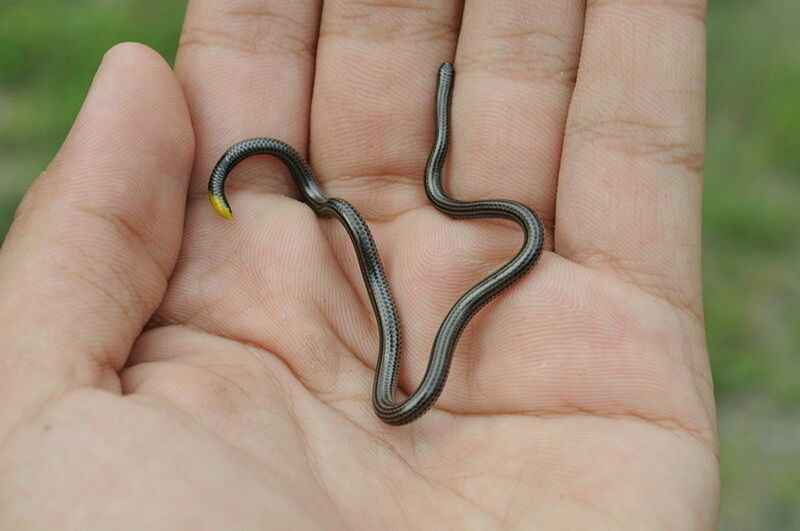 Some serpents, such as the Barbados thread snake, are tiny, 4" in length, and rely on burrowing and eating insect larvae for survival. You could also think about the different kinds of snakes by considering their habitats, whether land, tree or water. One theory states that snakes evolved from burrowing lizards which lost their limbs. This would mean that the original snakes were at home on the ground. However, over time some snakes, including tree boas and tree pythons evolved to climb trees, and became mostly arboreal. There is even a "flying" snake, that can glide over long distances. 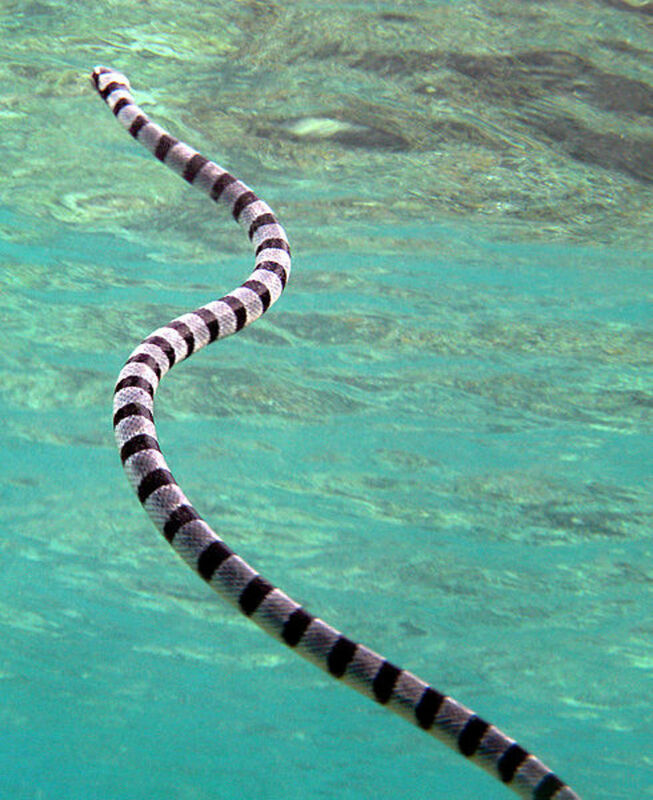 Many snake species are excellent swimmers. However some spend the majority of their time in marine environments, feeding mainly on fish. Snakes are reptiles, so it is normal to think of them laying eggs. 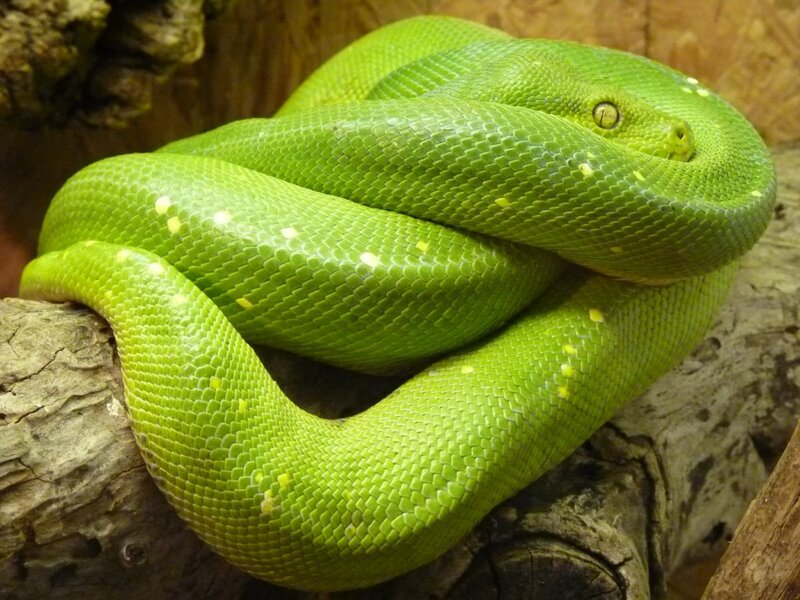 However some kinds of snakes, including the Boa constrictor and the green anaconda, are livebearers. Females are not really "pregnant" the way mammals are, but rather than laying their eggs, they retain them inside their bodies until they hatch and give birth to baby snakes. The vast majority of egg-laying snakes abandon the eggs once they are laid. The king cobra, however, builds a nest and guards her eggs until they hatch. Similarly python females curl around their eggs and stay with them until the young snakes make it out. ChristopherJRex or whatever your name is, you are a complete and utter fool. I am a scientist myself but not a life scientist as i studied Industrial Chemistry with Physics. How did I get to this website? I was searching for countries to visit in which I would never encounter a snake. Why? I spent the years of 7 through 23/24 in Nigeria where I encountered several snakes in schools, higher education institutions and at university. I encountered some snakes on paths or near paths and flew. It is not an understatement to say that Africans have an ingrained fear of snakes, and understand why when you have lived in a country where you have encountered Naja Nigricollis twice in isolation, and Naja Melanoleucca once in isolation and once with other people around killing it. Quite apart from that, a green mamba got into our room in an outhouse at the back of our main house and was coiled around the arm of one of those radio cassette players. We used to live in the outhouse before the main house was completed. I slept in our cars for the next six weeks. I have also seen countless Gabon Vipers held up on highways between towns with their heads chopped, of course. The holder trying to sell them as meat. Back in London, I have not once come across a live snake except in London Zoo. The snake phobia that humans evolved is what has kept us alive with our eyesight intact long enough to tell the tale, after all, what defence did our ancestors have against spitting cobras, which is presumably why athletes of African descent have developed the specific muscle type that enables them to win the hundred metre race nearly all the time. So i am reading this website along with others (and will never, ever visit your website) to determine what country I can safely visit to make sure I will most likely not encounter a snake. Seems to be Ireland which I have been to, New Zealand, Iceland and Cape Verde. On this website I have come across loads of information on snakes, scorpions and spiders which is useful to know when selecting a holiday destination. Who said we require a scientific paper on snake evolution or venom peptides or proteins here? Why did you have to run someone elses effort down? Then you pretend that you were only trying to make corrections, while directing people to your website????! There is a polite way to enhance someone elses effort, but what you have done is made a complete fool of yourself. Who wants to read anything from your hub now? All I know is that their must be snakes and other dangers in the warm and hot climates that most people are fond of choosing as holiday destinations that a lot of people, especially northern Europeans may not be too aware of . The lady who has set up this website has made a fantastic effort to enlighten people of the dangers. And all you can do is run her efforts down?????? aa lite: Once more, I will clarify that if I could have written out the 100+ sources that go into my hub, I would have, but it was much simpler to just refer to my article, saying as that is why I wrote it in the first place. I did not splatter the message of “come read my much better hub” all over my response. I simply stated that the corrections mentioned in my response could be found in my article. If you reference anything defining what a peptide is, you will generally see a size cut-off of around 5 kDa ( http://www.merriam-webster.com/dictionary/peptide ), it’s just that snake venom people tend to extend that to about 10 kDa ( http://www.thefreedictionary.com/polypeptide ). It is necessary to specify, since smaller amino acid chains (peptides) are often much more stable than their larger, more delicate counterparts (proteins) with complicated tertiary structures. Also, peptides are very rarely capable of possessing enzymatic activity. So, there are some differences and they are important. Of course, we are only talking about the “active” toxin molecules in snake venom here, and not mentioning the small, organic compounds that are commonly included in venom secretions as well. By stating that there was “pretty much” just one theory of snake evolution, I meant that there was only one widely accepted theory of snake evolution. Many consider the marine “theory” to be merely a “hypothesis,” as its supporting evidence is paltry at best (based on my discussions in-person with some of the world’s leading snake experts). Evolutionary theory is, at its heart, based on the concept of “descent with modification,” a phenomenon that is an accepted fact. A “theory” is as good as it gets in Science, as Science never claims to know the “truth.” Although we know that evolution has occurred (and is still happening), we haven’t quite figured out all of the specific steps yet. So, Evolutionary Biologists will have plenty of work for a very long time. By “supposedly” being a scientist, you should know better than to write things without credible supporting evidence. I am curious as to your scientific credentials, as I appear to have a firmer grasp of understanding Science than yourself while being a “mere” Master’s student. I find it unfortunate that you sink to the level of insulting me when it is you who insist on speaking of topics upon which you are ignorant. It is okay to be frustrated, but at some point you should realize that I am simply trying to educate and help you out here. If I was to leave a simple comment of praise when I know that the article contains mistakes, it would not help correct the misinformation or aid your growth as a writer. I am happy to see that you’ve made some of the corrections to your article that I’ve suggested. It shows me that you really are committed to delivering a quality product to your readers and that is all that I was trying to help you accomplish. I wish you the best in creating future articles. I will try to address your points succintly. 1. I do think commenting on a hub with a "come and read my much better hub on this subject" is self-promotional and rather bad manners. I am sure you had the purest of intentions, like every other hubber who wants to get traffic to their subdomain. 2. Peptides are proteins. It is not incorrect to refer to them as such. 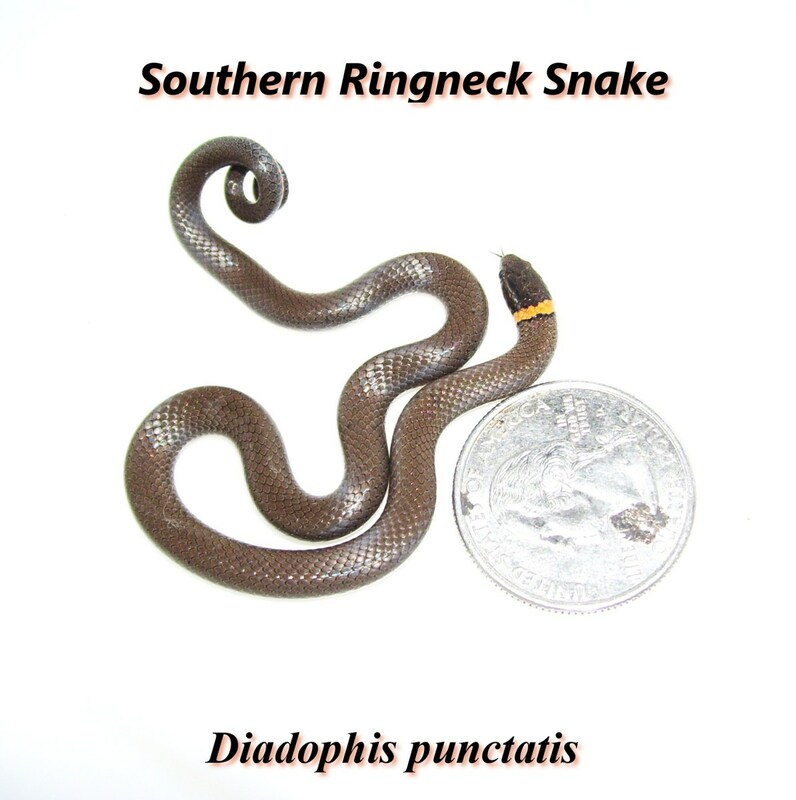 Since I am writing for the general public, and not snake venom researchers I think it is better to use a term that most people are familiar with. This was just an example of the pedantic nature of a lot of your comments. 3. As I pointed out in my comment, the fossil described in that nature paper did point that the "burrowing lizard" thoery was most likely correct, rather than the marine mosasaurs theory. But it also showed that there wasn't only one theory about snake evolution. Believe me, if that was a case, the paper wouldn't have been published in Nature. Once you've finished your Masters studies, gone on to do a PhD and got a few years postdoccing under your belt, I am sure you will realise that things in science are not usually that clear cut. I congratulate you on your ability to use lots of jargon, however I still maintain that your original statement that "there is pretty much just one “theory” of .... evolution in general" is astonishingly naïve. Yes, the basic theory of evolution is one example of a theory being generally accepted among scientists, but there is still a huge amount of work being done on sorting out the details. Evolutionary biology is very much a vibrant science, with a lot of funding and active research being done. If you believe everything is all sorted out, what do you think all these evolutionary biologists are being funded to do? aa lite: I find it interesting how you interpreted my reference to a “reliable” source of information as a way of directly insulting your article in an obscene effort to advertise some of my own articles. I created my hubs in order to serve as the best sources for accurate information regarding snakes on the internet. That culmination of information directly results from my 14 years of studying snakes and teaching others about them. Therefore, I would have to reference well over 100 sources to back-up the claims made in my articles (a task that I frankly don’t have the time to do at this moment, but maybe later this year), which is why I simply referred to my article instead of providing all of those other sources. Stating that a snake “floats” not only implies a slow downward speed with minimal lateral progression, but also goes against the notion that the snake has a high degree of control over its trajectory by using its tail as a rudder. 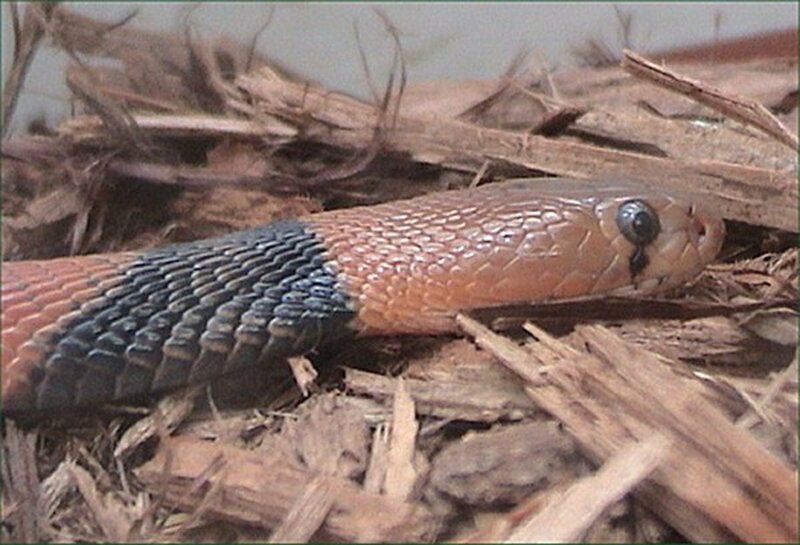 Once you take into consideration that the Nature paper you reference concludes that a basal snake evolved to fill a fossorial lifestyle, that all basal snake specimens have been found on land, that none of the living species of legless lizards have evolved to fill a truly aquatic niche (free of obstacles), and that snake eyes lack ciliary muscles and accommodate using the muscles of the iris (in stark contrast to any other tetrapod, indicating that they “lost” their eyes in response to a burrowing lifestyle and re-evolved them to become terrestrial again), you get a pretty clear picture of where/how/why snakes evolved: to occupy a fossorial niche. 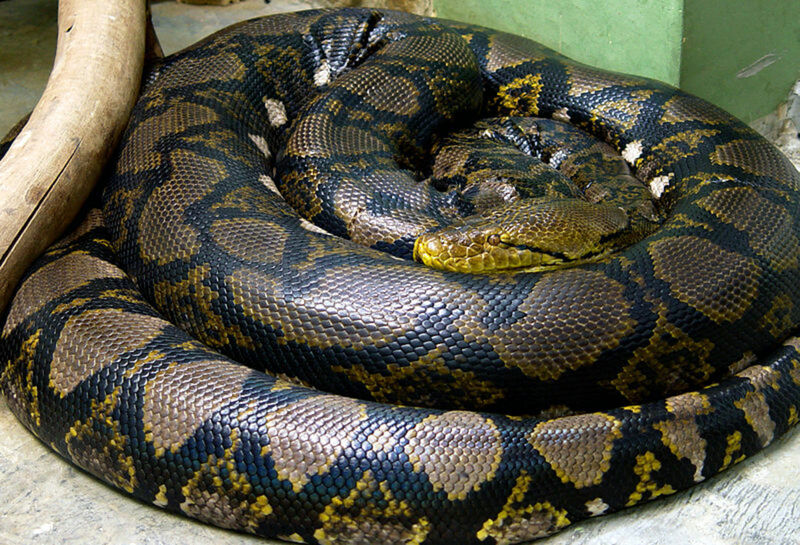 As for the longest reticulated python, there have been many reports of ones longer than the one I reported but these claims are often unproven. It is actually quite hard to get an accurate length of a snake, I am not sure how the one in your report was measured. I don't actually hold the Guinness Book of Record as a completely trustworthy source. For a long time a python from Highland Park Zoo, known as Colossus was regarded as the largest "accurately" measured snake, at 29ft. Unfortunately when Colossus died, his skeleton was measured and came out at "only" 20ft 10". My value of 22.8 ft comes from a python in Indonesia, which was measured by scientists under anaesthesia: http://dare.uva.nl/document/161117. I think this report is pretty trustworthy. Hi ChristopherJRex, thanks for reading the hub and clarifying what you see as inaccuracies, although some people might see the inclusion of a link to your own hub, with the message "read my hub it is a lot better than this hub which won HOTD" as not very generous. Your message is very long, I am not going to attempt to answer every pedantic criticism, you are write, it is better to write that a flying snake "glides" rather than "floats", I have noticed several typos and stylistic mistakes in my hub after I published it, and should really edit it to correct them. I will be certain to include that correction when I do that. Still I think the meaning that I tried to convey, the fact that flying snakes don't actively fly but use air resistance, is clear. I am fascinated by what you think is the difference between peptides and proteins? Both are polymers of amino acids held together by peptide bonds. It is true that the word peptide is used to describe a single amino acid chain whereas proteins can be complex tertiary structures made out of several polypeptides, however there are really no hard rules to distinguish the two. It is not a mistake to refer to a short single amino-acid chain as a protein. For example the central dogma of molecular biology DNA --RNA---protein. 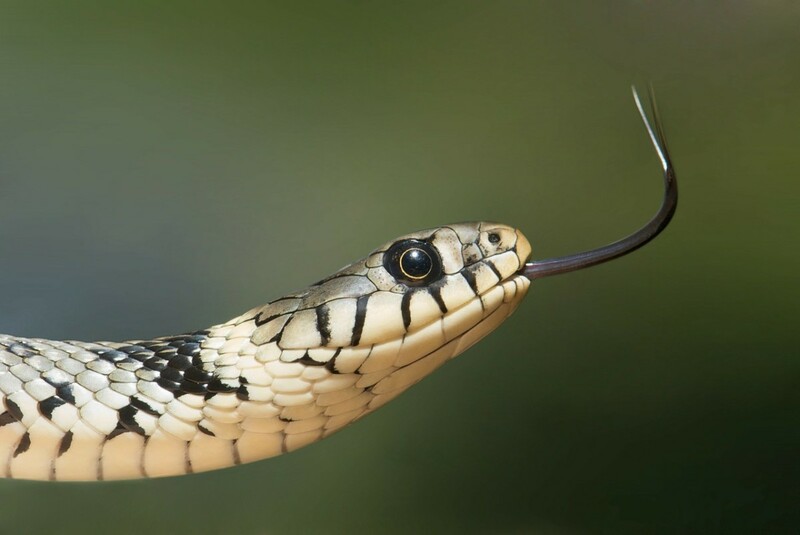 "Claiming that Spitting Cobras “don’t need to bite” may insinuate that they never bite in self-defense, which may yield fatal consequences for people that encounter them (as they can still inject a lot of potent venom in their bite)." I really don't follow your logic here. It is certainly not factually incorrect to claim that spitting cobras don't need to bite to use their venom in self defence. It in no way implies that they don't bite as well. For example I can write this comment, to defend my hub against your petty criticisms, I don't need to delete your comment. However, if you write more self-serving comments that include back links to your hubs, I may delete them. Just because I haven't deleted your comment this time, doesn't mean I won't do it in the future. See how the logic works? great hub, thanks for sharing!.. As much as I’d like to congratulate aalite for having this article selected for the “hub of the day,” there are some misleading statements and inaccuracies that I’d like to clear up. First off, most elapids (such as the Black Mamba) have short, fixed, hollow fangs, not long ones. 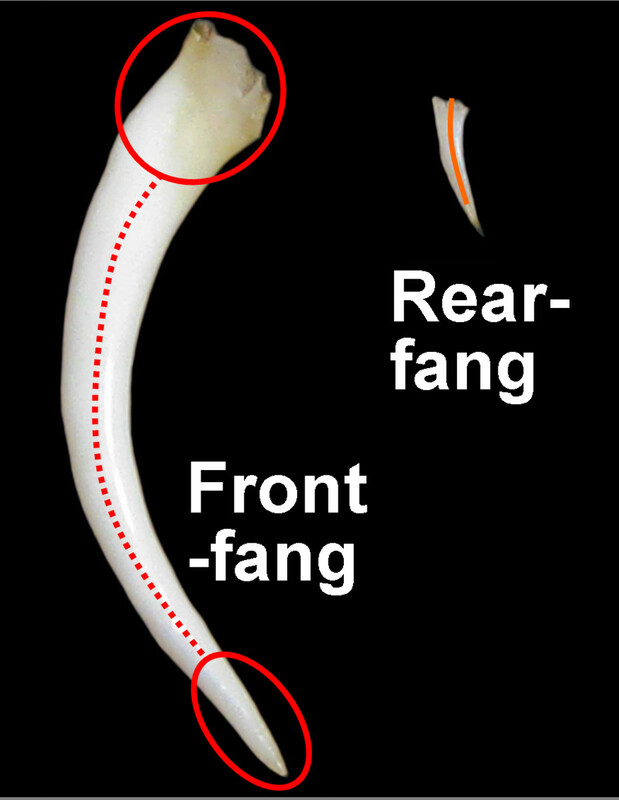 Also, saying that viperids have “hinged fangs” may give the wrong impression that the fangs, themselves, swivel in position (with some sort of “joint” or “hinge” in the middle), as opposed to the fangs swiveling as a result of the rotation of the maxilla bone that the fangs are connected to. Claiming that Spitting Cobras “don’t need to bite” may insinuate that they never bite in self-defense, which may yield fatal consequences for people that encounter them (as they can still inject a lot of potent venom in their bite). Venomous snakes typically produce 10-100 different compounds in their venoms, but I don’t know of any snake species that manufactures “hundreds” of different venom proteins (especially since some of the venom products are actually peptides). Attempting to lump venoms into two broad categories (hemotoxic and neurotoxic) based on snake family (vipers and elapids, respectively) is not only dangerous, but also incredibly inaccurate, as there is often significant overlap in venom form/function between all four venomous snake families (including families Atractaspididae and Colubridae). Venoms are, by default, fine-tuned by evolution to act quickly to immobilize or kill prey (regardless of whether they are composed of “neurotoxic” or “hemotoxic” components). I’m not entirely sure where you got the belief that snakes with “neurotoxic” venoms are “slower,” as many of the snakes with the fastest-acting venoms move fairly quickly (including the Black Mamba, which is the world’s fastest snake at ~7 mph). The question of which snake is the “most venomous” is a very complicated one, which I address in detail in the article I link to at the end of this comment. To my knowledge, the Inland Taipan (Fierce Snake) actually possesses the lowest LD50 of any snake (on land or sea) in the world (at 0.01 mg/kg). 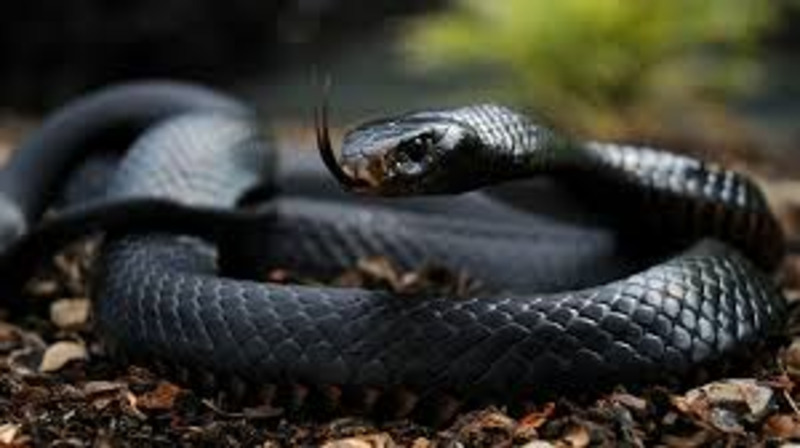 It is, indeed, possible for people to be “permanently” damaged by non-venomous snakebites (especially by large constrictors, which can have fairly long teeth), as I have personally received some scarring and permanent nerve damage from such bites. There is pretty much just one “theory” of snake evolution (or of evolution in general, for that matter): that snakes evolved from lizards to fill a burrowing/underground niche. 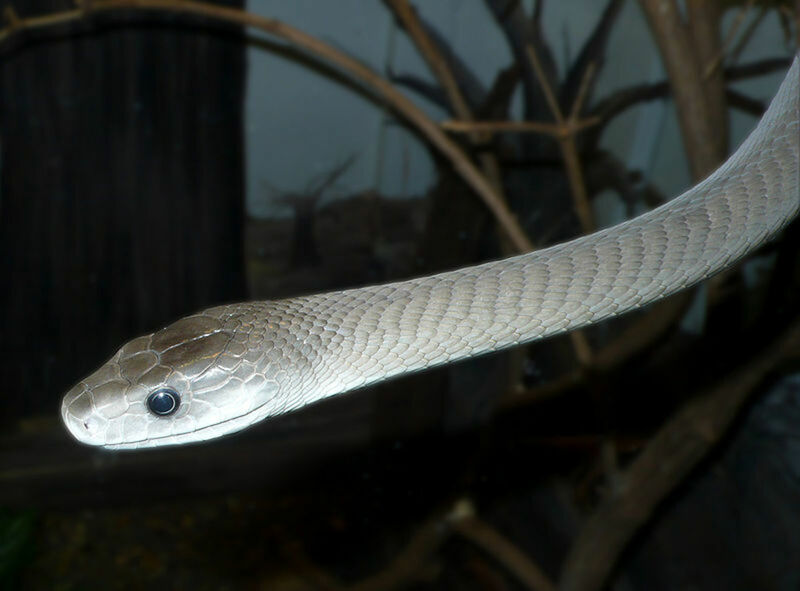 Also, “flying” snakes do not “float,” but can “glide” over long distances. Although this article is setup nicely with some great pictures/videos, it could really benefit from some accurate information and fewer misleading statements. Just stopped by to say congratulations on HOTD...and I admit to not reading this hub. I'm afraid I have an insanely irrational phobia about these creatures--I do not want to see them, hear the word spoken, view pictures of them, or anything else. I know you worked hard on your article, and I admire you for that. I'm sorry my personal problem kept me from fully enjoying it. Wild life has always fascinated me a lot. This is a very informative hub! As an 8th grader, I had gone camping from School, where we were allowed to tackle snakes! Having held these slimy creatures was an awesome feeling! We had a loose cobra right in front of us just a foot away, full of venoms. This hub did bring back old memories! @anatomynotes, thanks for your kind words. I would use the internet to try to figure out what species the snake in your backyard is and whether it is venomous or not. Start with where you live, and see what snakes can be found in that part of the world, then match the pictures to the snake you've seen, and then figure out whether it is venomous. The truth is, even if you know that snakes in your backyard are venomous, I don't really think there is much you can do about it, except tell the kids not to try to handle snakes or any wild animals they come across. Even if the snake is not venomous, it is probably better for it if it is left alone. Most snakes try to avoid humans, I think a lot of bites result from accidentally stepping on a camouflaged snake. S-s-s-s-s-o-o-o interesting. I fear snakes, but I enjoy reading about them. I learned a lot from your article, especially about venom, and the photos are great. Slick HOTD! I have a black racer snake that visits often. He's not a wanted guest, but he likes to catch some sun rays in the hedges. I used to panic, not anymore unless he startles me. I still do not like snakes, but I'm thankful they eat the bugs hanging around my yard. Excellent hub! Congrats on HOTD! This is awesome! I work as an animal educator at an animal museum and I work with a lot of live snakes. I do educational lessons and shows with them for schools, parties, jails... all sorts of things. I've really grown to love snakes and I talk about a lot of the things your Hub covers, but it taught me a lot of cool, new things that I'm definitely going to remember for my next few shows. Awesome Hub! 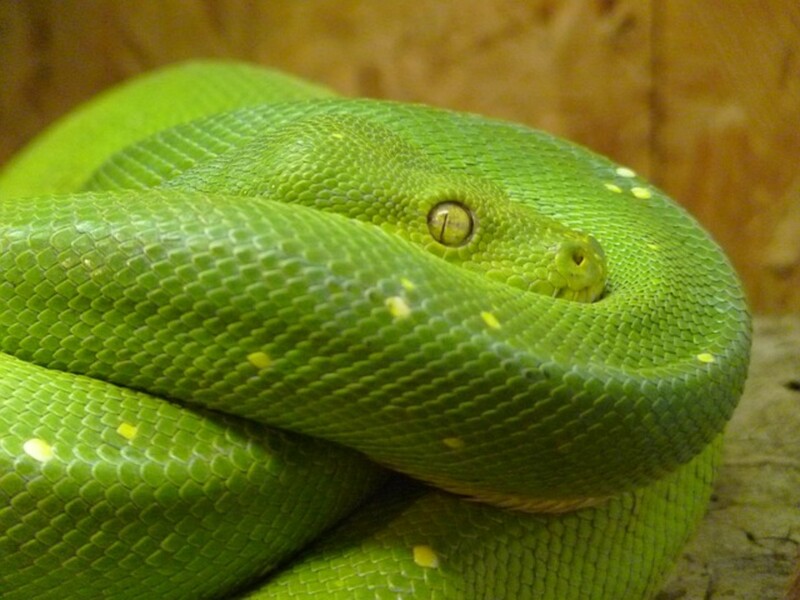 Incredible photos and I have learned more about snakes here. Fascinating article. Snakes are not an oddity as you have illustrated as well as shared. Understanding the difference between venomous and non is a point well taken. I remember when living in Barstow, CA the fun we had with watching 'sand fish' or lizards and snakes around the 4th through 6th grades. I have a California King in the natural grown garden in the back, although territorial it seems to migrate or maybe not the same one. Seems it likes the Hummingbird Sage. All I know is no gophers, rats, or field mice around. Several times a year it sheds too. More the black hue than the brown too. Congrats on HOTD! Very much deserved. I thoroughly enjoyed your article! Very well put together and the video of the large prey being swallowed was incredible! I owned a couple smaller constrictors when I was young. They are fascinating animals. Say I find a snake squirming around in my back yard. 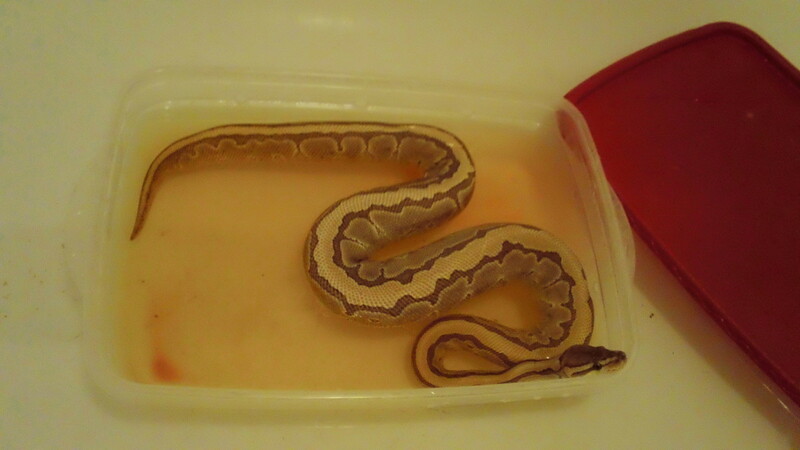 How can I tell if it is venomous or not? You know, with kids and other people walking around there. Hope you don't have to catch the snake to determine this? By the way, some snake can spit venom at you from a distance. 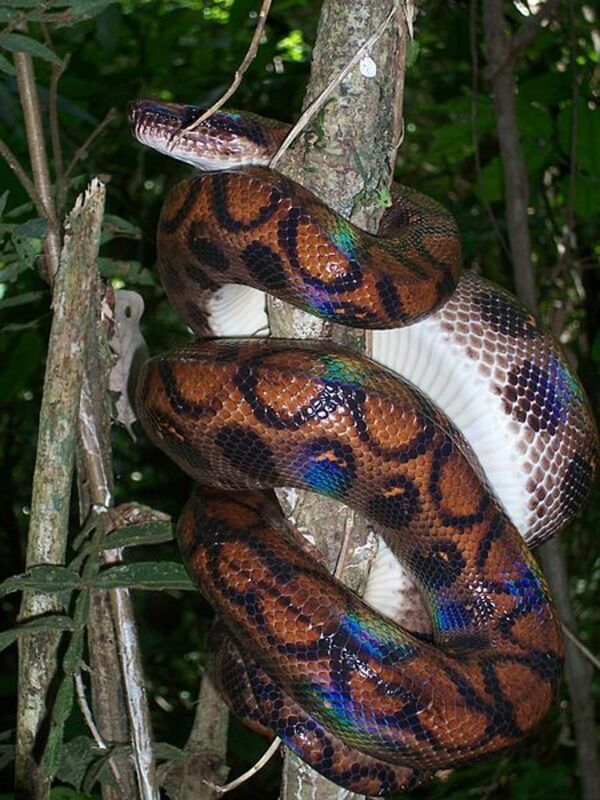 Thanks, there are a lot of beautiful/scary snakes out there so it's easy to find good pictures. There is a lot of great information here. And I love all the pictures. Thanks very much wquaindia. I've think animals in general are fascinating, and I have a particular soft spot for reptiles and amphibians. Amazing. I could not resist reading the full articles. I am so impressed that I am putting a link on my personal website. Thanks greatstuff. Yep I think the theory was that during the times of the dinosaurs, it wasn't a bad idea for smaller reptiles to go underground, so some did. If you live in the soil all the time you don't really need limbs, so eventually they were lost (although I think some snakes still retain some pelvis bones, and possibly even vestigial limb bones). The theory further states that once the dinosaurs became extinct and mammals showed up, they made much better eating than the bugs underground, so snakes came up as well. 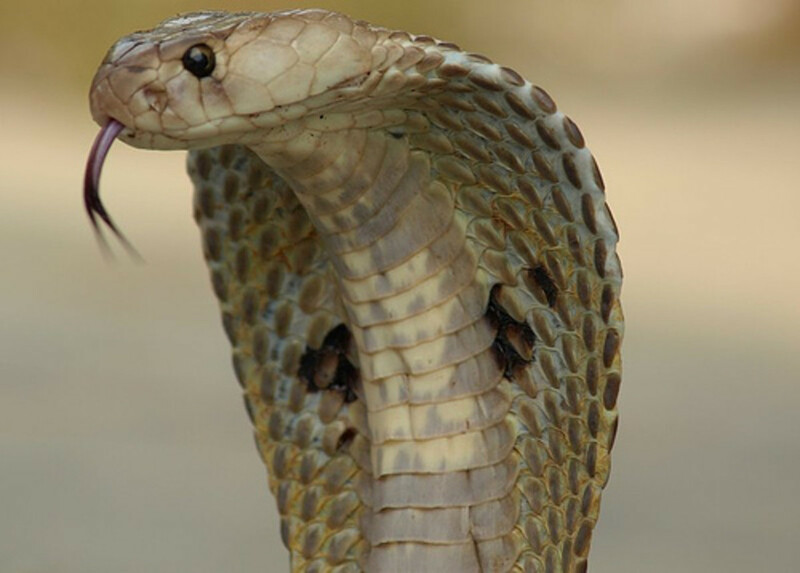 The people of India are very wise to respect and fear the cobra. I get annoyed when mice take residence in my place, but in other countries people have the same problem with snakes! Sorry about that Barb, you shouldn't have forced yourself to read it if you are afraid of snakes. I know how that feels, every time I see a spider, the slide to mental breakdown begins. 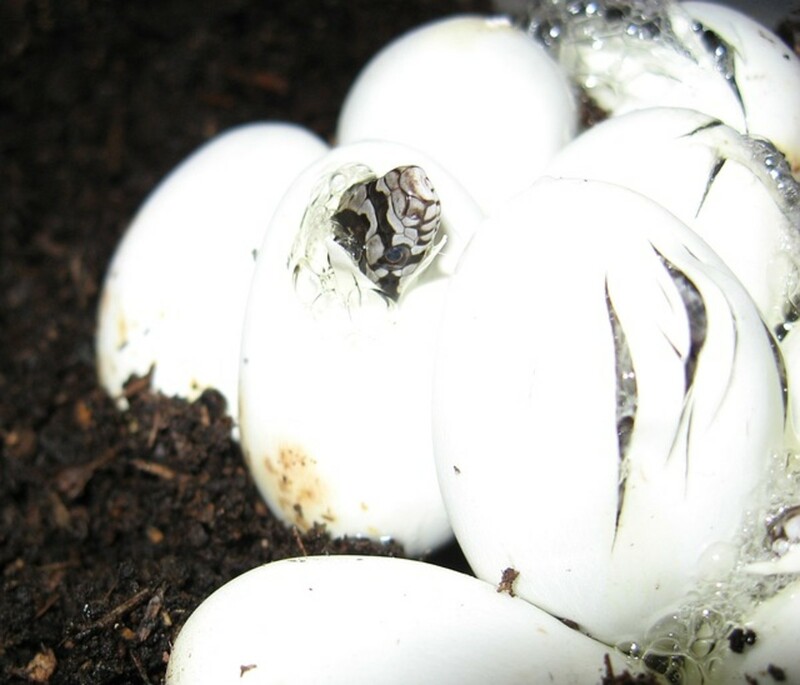 Thanks Shaddie, I was really happy to find a photo of snakes hatching from eggs. Congrats on your HOTD. I was fascinated by the theory that snake evolved from burrowing lizards which lost their limbs. Hmm! I read before that the smallest snake is as slim as a spaghetti noodle and world's biggest snake was bigger than a city bus and lived 60million years ago. The fossil was found in a Colombian coalmine. This is a huge contrast in size! Shared and voted up. Great hub :) Nice photos. I have a terrible fear of snakes. Just looking at your pictures make me nervous. Great pics and hub I watched a show on India last week on which two men where summoned to a house in a small village to capture a King Cobra who had taken up residence there. The people of India respect the Cobra but they still fear it. The men captured the Cobra and released it in a more suitable area for it to reside.